My pastel painting “Jetty Surge” has been accepted into the UART 2018 Online Pastel Competition show! 600 Entries and 100 accepted. 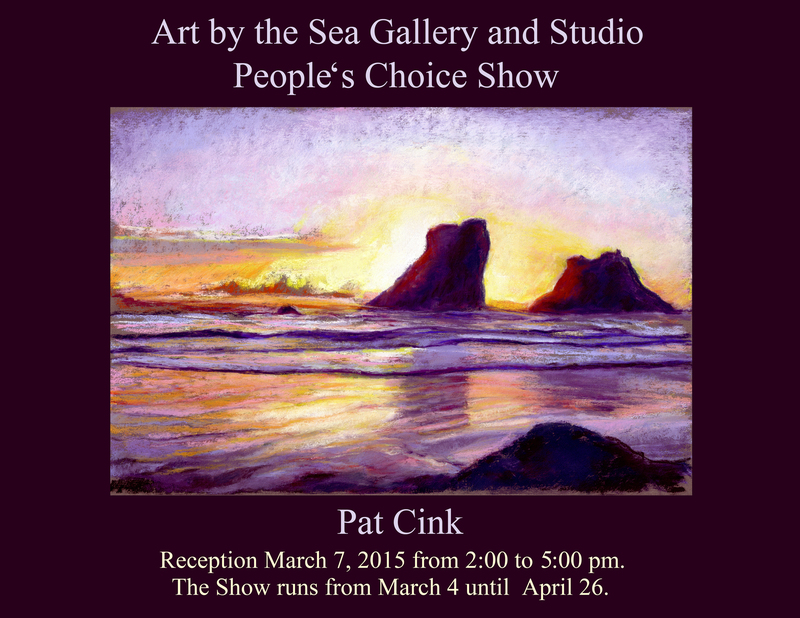 Thanks to the gallery and all of you who voted for me last May at the Art by the Sea Miniature and Small Works show. As the People’s Choice, 15 of my watercolors and pastels will be on display in the Art by the Sea Gallery and Studio during March and April. I hope to see you at the reception Saturday. I will be teaching a watercolor on Yupo paper class in conjunction with the show. The class will be Saturday, March 20 from 1-4:00 pm. Contact the gallery for more information at 541-347-5355. The Gallery is located at 175 Second Street SE, Bandon, Oregon, 97411. Museum opens its galleries to new works by artists from around the state. I have three paintings showing in the Coos Art Museum’s “Plein Air Painters of the South Coast” in the Clare Wehrle Community Gallery. This is a great opportunity for me to display my art with my painting buddies as well as regional artists that I have yet to meet. The wonderful scenery and near perfect weather of the south coast of Oregon have made for a high concentration of very talented plein air artists. Coos Art Museum is very encouraging to local artists by providing this wonderfully professional space and promoting our work. Meet & Greet the Artist events are featured every weekend throughout the summer at Second Street Gallery. They are free and the public is invited to see artists talking about and demonstrating their art. Watercolor and pastel artist Pat Cink will be the featured artist at this weekend’s Meet & Greet the Artist at Second Street Gallery in Old Town Bandon. From noon to 4 pm Saturday and Sunday, July 6 and 7, Cink will set up a mini studio and demonstrate her techniques of painting. On Saturday she will paint with watercolors on Yupo paper. Yupo is a synthetic paper that alters the watercolor painting process in many ways. The paper is non-absorbent, allowing the colors sit on the surface so they retain their vibrancy. Also, the paint can be removed and reworked to get just the right fresh interplay of colors. Cink often takes the process further by layering transparent colors over dried paint. 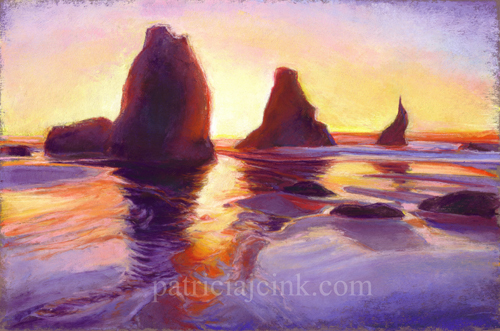 She works to achieve luminous and vibrant Bandon seascapes. 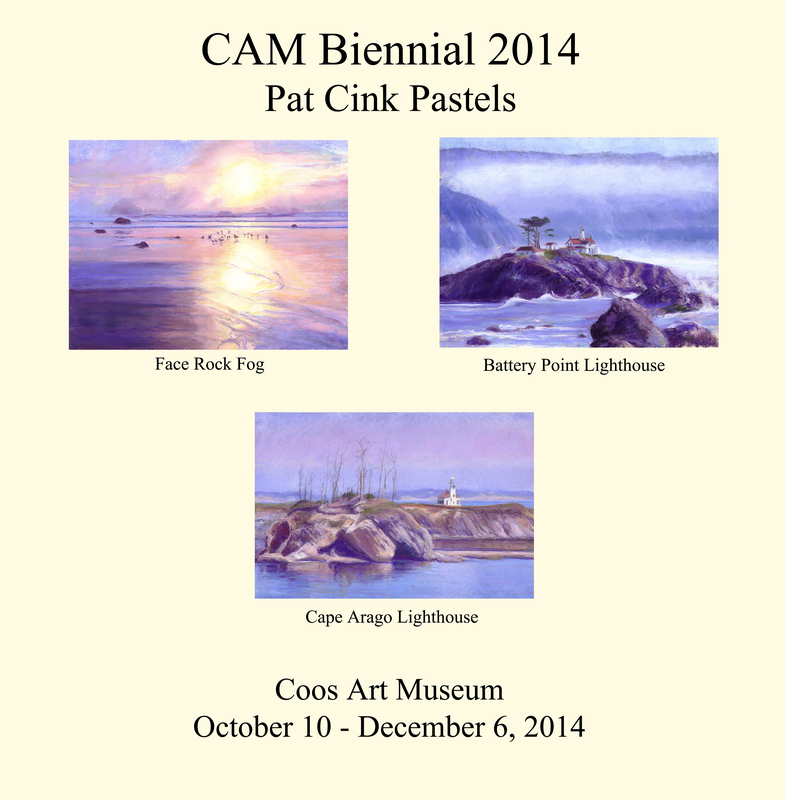 On Sunday Cink will bring her soft pastels to demonstrate another technique for painting the beauty of Oregon. Soft pastels are rich pure pigments in stick form which go directly on sanded Wallis paper without mixing or using a medium. Both her watercolor and soft pastel paintings can be seen at the Second Street Gallery, 210 Second Street SE, Bandon, Oregon, secondstreetgallery.net, and on her website, patriciajcink.com.